A selection of searching questions from Starlight Express to the Starship Enterprise. 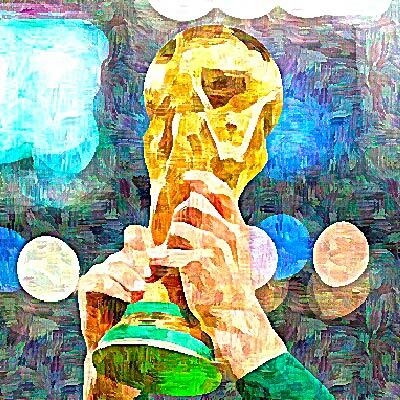 The Picture Round is World Cup Geography and the Wild Card is a striking stat about Super Kev. Q02. What flavour is the liqueur Amaretto? Q13. What form of transport are the characters that feature in the musical Starlight Express? Q27. In what sport might you catch a crab? Q33. In the TV Series Star Trek – The Next Generation what model is the Starship Enterprise… is it D, E or K? 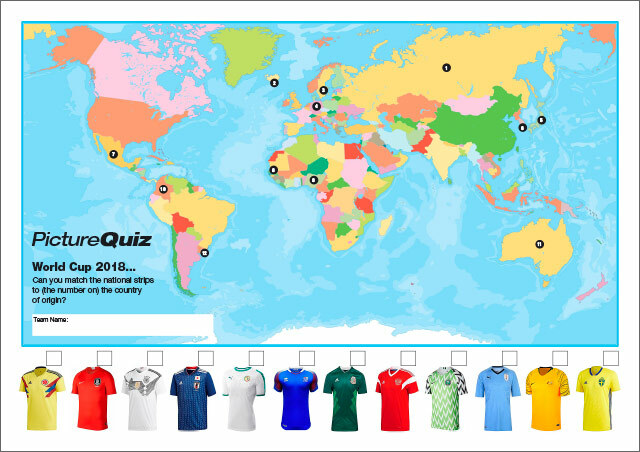 Quiz 084s Picture Round is World Cup Geography… can you match the national team shirts to the country’s location on the world map? 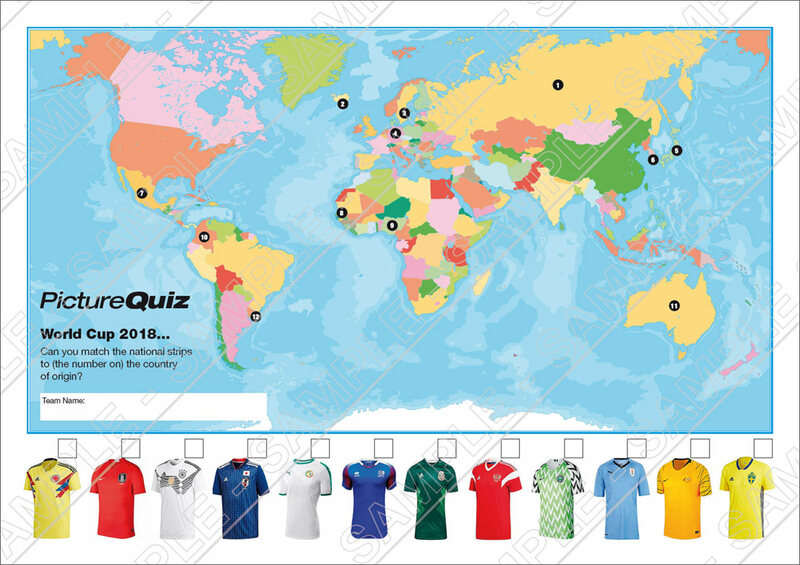 Above is a low-res sample of the Quiz 084s World Cup 2018 Geography Picture Round, click for a higher resolution version. The Picture Round download is a two page high quality PDF with the answers on page two. Quiz 084s Wild Card Question is a striking statistic about the diminutive goal scorer Super Kevin Philips.